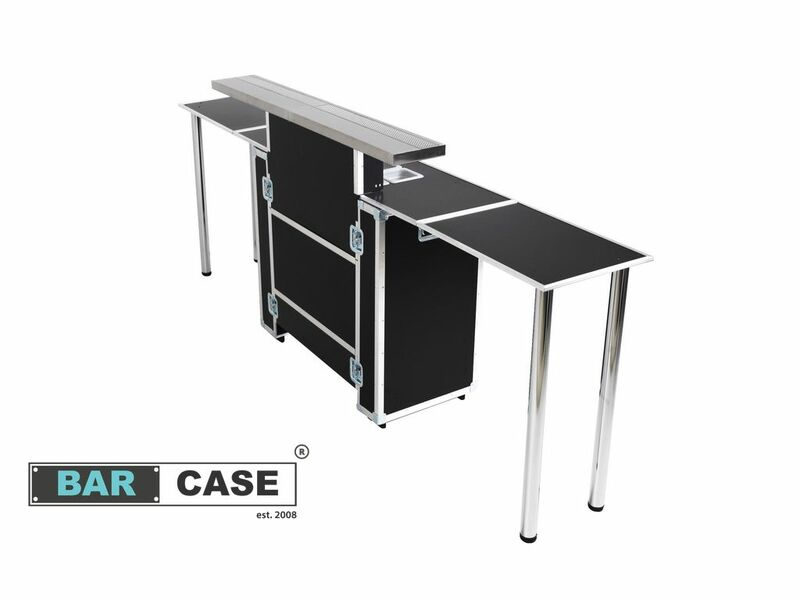 Mobile VIP Bar 2in1 – Steel has the same structure as Mobile VIP Bar 2in1 – Classic . Mobile VIP Bar 2in1 – Steel enriched with a professional serving counter made from stainless steel and an eye-catching and practical draining board! Serving Counter is foldable and fits in in the bar case. 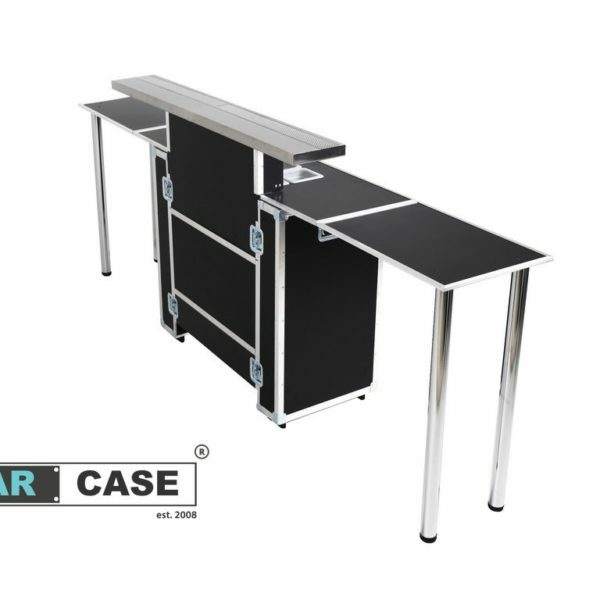 Mobile VIP Bar 2in1 – Steel comes in black or white colour. Catering Vip Bar 2in1 has two worktop! – the first 160 cm long, and the second 300 cm long – with two extra counters adjusted at both sides of the bar. This gives us two worktops: 160 cm or 300 cm long, when needed. The 300 cm long counter comes with 4 additional legs that are assembled with it. The legs make the bar very stable and the counter is able to hold the weight of a coffee machine that weighs more than 30 kg. I’ve been using this set for a long time and I would not trade it for any other. The great advantage is that the small suitcase after unfolding becomes a large bar. I recommend!